Following nationwide government cuts to libraries, author Abigail Tartellin has argued that ‘the price of libraries is cheap compared to that of an ignorant nation’ in the Guardian. Libraries in Lincolnshire – and my own county of Shropshire (here’s an article about Telford and Wrekin, which is a different authority but still within the county; the same is true of other libraries under Shropshire council’s umbrella) are being closed or going volunteer-run. Some are being replaced by library buses visiting for as little as an hour a month, where once there was a library open forty or fifty hours a week. But that’s not really what I’m here to talk about. Yes, I condemn the government for these cuts. Libraries are important. But it seems a lot of commenters, discussing the Guardian article on reddit – including /r/books and /r/writing (!) – seem to think libraries are obsolete. I don’t mind increasing funding for libraries but they lost a lot of their use since the internet came along. You can find almost all the information you need from a device that fits in your pocket, or on a home computer. 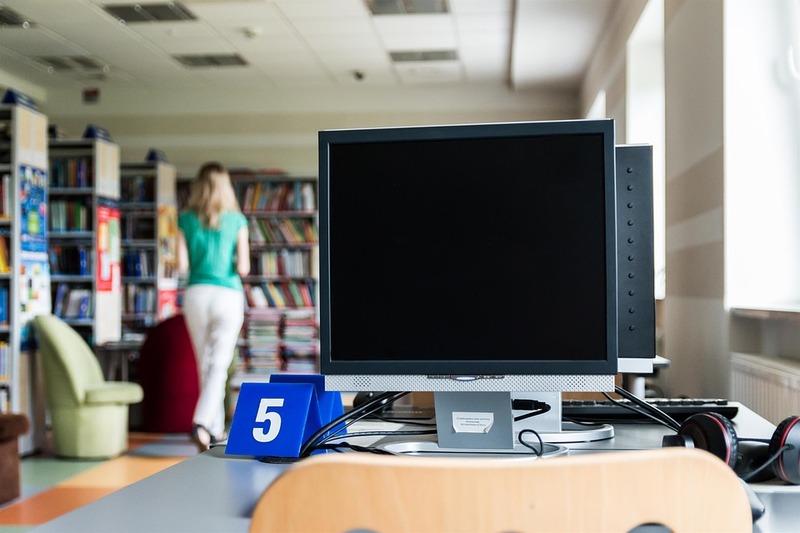 What can libraries do that a connected computer can’t? They need to change what a library is. It can’t just be a place that only has books. It has to have computers, 3D printers, printing services, special access media, etc. I fail to see the point of giant rooms and tons of real estate dedicated to paper books. It’s an outdated concept, perfect for the 20th century, not for 21st century. Libraries need to change drastically. And I would rather see universal city-sponsored internet access and tech classes so people know how to use the internet than libraries, as they still exist today. If either of these two commenters have been in a library recently, I’d be surprised. Bear in mind, these are both subscribers of /r/writing, and thus are likely to be writers themselves – so you’d expect them to be vocal advocates of libraries, but they seem not to have much of a clue of what a library even is. So let’s go through some of these assumptions and see what we can say about them. This claim is based on an assumption that you go to libraries to do research and learn new things. And of course googling something can find you whatever answers you need now, so you don’t need to go to the library for that. But that’s wrong from two angles, because libraries provide so much more than knowledge, and the internet is far from perfect of complete as a house of knowledge anyway. There is much information that has never been digitised. Sure, out-of-copyright books and newer publications are possible to find online, though not always free, but a lot of in-copyright, out-of-print books from the last century simply aren’t available. The publisher doesn’t want to spend money on out-of-print books, or they’ve gone bust, or it’s low on their priorities and they haven’t got to it yet. If anyone else attempts to digitise such books, they could be in some legal trouble. For more recent publications, in particular academic stuff, access to read online is behind a paywall – requiring membership to a site like JSTOR or a subscription to the journal in question. 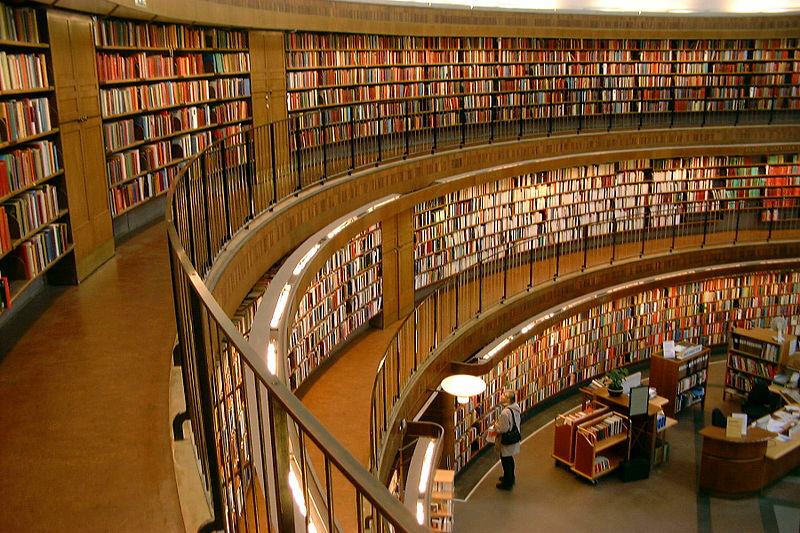 Access to read in print simply requires membership of a university library which purchases the journal. Local interest information isn’t available online quite often. Perhaps in big cities it’s different, but where I live – in a small Shropshire town – if you want to look back over the weekly newspaper to learn how people coped with the 1960 flood or how popular the plans to build a by-pass in 1974 were, you need to go to the library. If you want to read about ghost stories from around Shropshire, yes there’s a book in the library about that, but you won’t find it online. The internet is fine for shallow research – Wikipedia-levels of detail, or perhaps a little more – but if you want to research a topic in-depth, you often need to read a book about it. Especially niche topics. You simply can’t get the depth of information from 1,000 words of Wikipedia and a random selection of pages from the “look inside” function on Amazon, where the book has been digitised, as you can from actually reading a book about it. Not everyone has a computer or smartphone – or knows how to use it. It really demonstrates an astounding lack of awareness that anyone can honestly think everyone has a smartphone or a computer at home. A lot of people don’t. People who are too poor, people who grew up without it and never learned how to use them because until now they didn’t need to. People who are homeless. Children who are not allowed their own electronic devices yet or whose parents can’t afford them. They can all go to the library to use the internet, or learn how to use it from helpful library staff. Without libraries, how would they learn this stuff? How would they access the internet? Lending other media, including DVDs, audiobooks and video games. Computers so library users can access the internet, create and edit documents, print, scan and more. Regular events such as writing or poetry workshops, book launches and readings, storytelling for children, hobby fairs and showcases, second-hand book sales and other community events. a registry office, so people can get married there. Libraries provide a huge variety of functions – they’re not just book houses. Libraries have been constantly changing throughout their existence. They might not have the most recent technology – 3D printers and suchlike – but that’s a matter of need vs affordability. They’ve got limited budgets – shrinking budgets – and they can’t get everything new because it would be cool. There needs to be a demand for it, and libraries are responding to demand by introducing new media to their services as they can, including making computers available, loaning other entertainment media, and providing teaching to those who need it. Even if books went 100% online, and there was a free ebook loan service online, and everyone had smartphones and computers to access all this, though, libraries still wouldn’t be outdated, because their function isn’t just about reading or learning. It’s not just about knowledge, it’s about community. Libraries are community spaces where people can meet, learn, discuss, discover. The internet can’t replace the social aspect of a library, where you can meet with friends, engage in hobbies as a group, bump into old acquaintances, and just be part of something. And neither can library buses that pop by once a month.